We are lucky to have many original works of local artists. Jo Farris is a fabulous artist specializing in local scenery. How do you know if an artist has an impact on people? Strangers who sit at traffic lights and shoppers in stores... The small kindnesses and grand gestures clash with neglect and violence. How, as artists do they tell the story? Is that particular paradox that informs Jo's work. She has spent decades recording and documenting. Now she has merged form with content to tell this story of shadow people...of those known and unknown. Structuring the composition provides an invitation to the intuitive. Jo's paintings allude to the surface beauty... painting and wiping away, of layering and staining. There is a seduction of surface as she creates and destroys trying to find the truth to its relevance. Another of our local artists is Helen Johnson. She has always liked to create and her whimsical style is truly unique. She has created some very unique Auburn, Georgia and Clemson prints that any fan would love. Originally from Columbus but now in Denver, we are delighted to carry the wonderful watercolors of Sallie Robbins Strickland. We are also lucky to have art from The Round Hill Artists' Group, including works from Brooke Douglas, Barbara Marks, Alison Ross, and Elizabeth Thorne. This group has been painting together for over ten years. 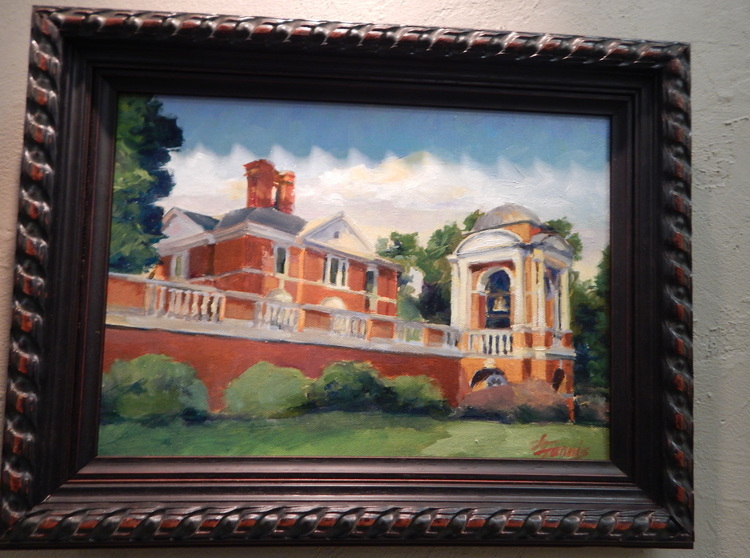 Representing varied individual styles, from Realism to Impressionism, the work of these well known artists have been collected by Chattahoochee Valley residents for years. Drop by Galleria Riverside to see their latest works and invest in a lifetime treasure.